Virginian Paul Mellon became the first owner to win the Epsom Derby, Prix de l’Arc de Triomphe and Kentucky Derby after his homebred Sea Hero drew off with authority in the latter at Churchill Downs. The son of Polish Navy and the magnificent producer Glowing Tribute gave his 85-year-old owner and his 71-year-old trainer MacKenzie Miller their first Kentucky Derby win. “This is something you never believe is going to happen to you until it does,” said Mellon. Sea Hero was one of the last of a long line of high-class runners foaled at Mellon’s Rokeby Farm near Upperville, Va., a list that included European champion Mill Reef, winner of the 1971 Epsom Derby and Arc de Triomphe. Mellon had dispersed his broodmare band the previous fall at Keeneland, selling 29 mares for nearly $6.1 million. At Tattersalls in England, he sold an additional nine European-based mares for just under $2.3 million. Virginia-breds accounted for two-thirds of the Triple Crown, as the 17-hand Colonial Affair coasted home to win the Belmont Stakes-G1 under Julie Krone, who made history as the first woman jockey to win a classic race. Colonial Affair was bred by Washington, D.C., resident Hermen Greenberg. The son of Virginia-bred Kentucky Derby/Preakness winner Pleasant Colony was foaled at Greenberg’s 107-acre Rutledge Farm near Middleburg, and sold as a yearling for $100,000 at the Saratoga sale. Centennial Farms, a partnership headed by Don Little, made the purchase. The Colonial Affair partnership had 37 investors, the largest shareholder Pennsylvania horsewoman Betty Moran. The New Jersey Assembly’s Appropriations Committee rejected a constitutional amendment to allow sports betting at Atlantic City casinos. It was welcome news for horsemen as racing would have been in direct competition for betting dollars. In Pennsylvania, a bill to allow full-card simulcasts of out-of-state racing programs at Pennsylvania tracks and OTB sites was approved by the state Senate and sent to Gov. Robert Casey for signature. 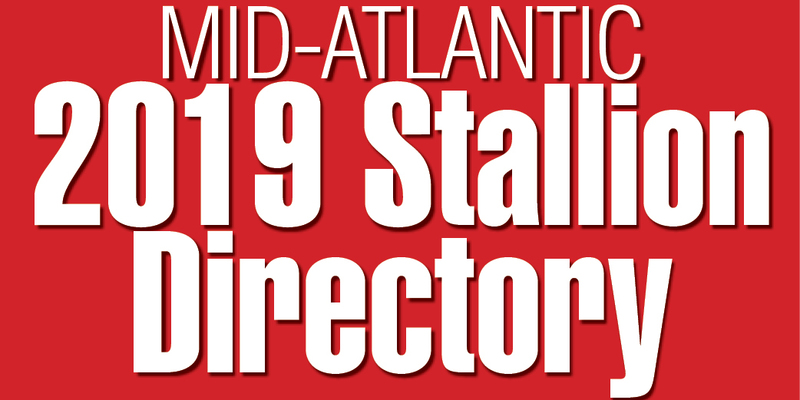 Maryland was also moving forward with off-track betting, multiple-card simulcasting and inter-track wagering being introduced at Pimlico and Laurel in late spring, and the opening of the state’s first off-track betting facility, the Cracked Claw in Urbana. Maryland trainer King T. Leatherbury got his 5,000th win with Blue Highways at Pimlico in May. Leatherbury became the third trainer to reach the milestone following Dale Baird and Jack Van Berg. 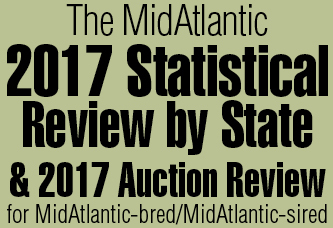 The Fasig-Tipton Midlantic selected 2-year-olds in training sale saw the average rise 12.6 percent over the previous year to $14,935, as 78 horses sold for $1,164,900. The sales topper was a $43,000 filly by Chromite.